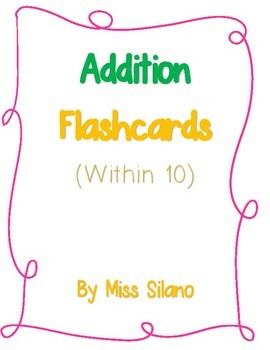 Use these addition within 10 flashcards to teach early learners addition! This download includes 60 flashcards. Print and use these flashcards laminated, or place in inexpensive photo books so students can write in sum with an expo marker! 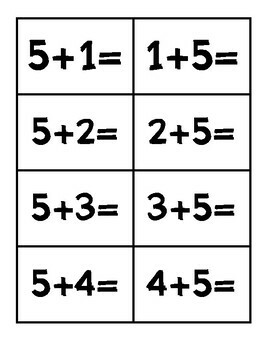 This is a great activity for math centers, morning work, math fact fluency, or small group work. 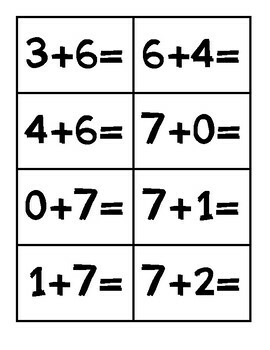 Pair with manipulatives or record sheet for an instant math center! This can also be used as a parent resource for parents who need at home practice supplies for their children. 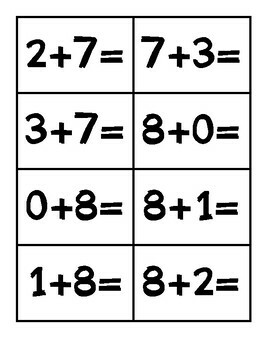 Visit my store for more subtraction and addition resources!